Hartpury go into Saturday’s visit to Coventry with a strong record against the West Midlands club to defend, but also knowing that time is not on their side as they look for the wins needed to pull away from the foot of the Championship table. This will be the eighth clash between the clubs in recent seasons. Coventry won the first ever encounter, at the Gillman’s Ground back in 2014, but since then Hartpury have recorded six wins in six meetings. However, Hartpury followers will remember that this was the last win recorded in any competition by the Gloucestershire team, in what has become an increasingly difficult season. Coventry, on the other hand, have made a very decent fist of their return to this level, sitting comfortably 19 points ahead of Hartpury with five wins from their 13 matches so far. Their home record is good and Hartpury DoR, John Barnes knows that past performances will count for nothing on Saturday. “They have performed well this year, especially at home. Rowland Winter has recruited a squad well capable of picking up results at Championship level and the club have big plans to develop the stadium, pitch and squad in the coming years. Hartpury’s injury list remains significant and the club will wait as long as possible before naming the final 22 that will travel to the Butts Arena. However, the club received a boost yesterday with the announcement that five promising young Bristol Bears players are being made available, on loan, with immediate effect. The group includes exciting speedster, Mat Protheroe, who is no stranger to the Red & Black, having played in two successful AASE campaigns as well as having appeared for Hartpury throughout their three seasons in National One. He recently made his Premiership debut for the Bears and is joined in the loan move by another back, Charlie Powell, as well as forwards Ehize Ehizode, Jake Armstrong and Sam Graham. 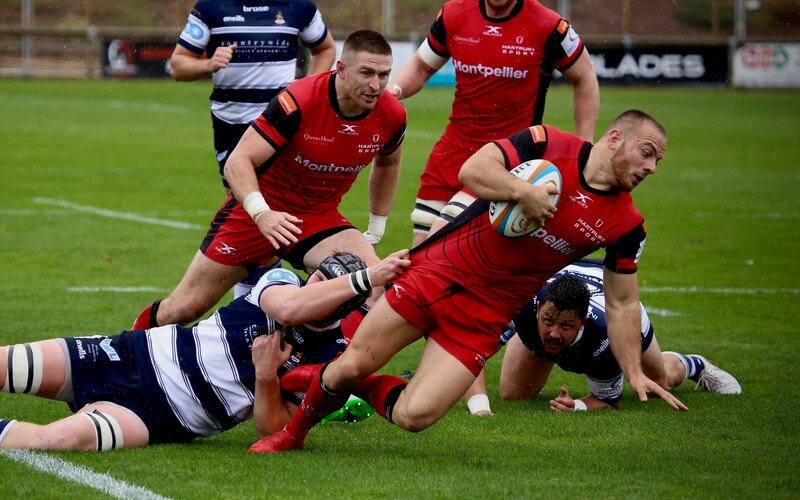 The most recent outing, two weekends ago at the Cornish Pirates, did end in defeat but was not one that the club had any reason to be ashamed of. “It was certainly an improved performance in many areas,” said Barnes. Saturday’s Greene King IPA Championship fixture kicks off at 3pm.